I wanted to post a poem that was entirely new to me today and I found this piece in an anthology that (very surprisingly) fits into that category. High flight totally floored me with its easy-seeming, dazzling-bright description of the sublime freedom and pure joy of flying above the clouds. The story of its author and journey to publication fascinated me further and heightened its significance so that I just had to share it with you. This poem was written by an evidently rather exceptional 19-year-old American called John Gillespie Magee who, in 1940 (before the US entered World War 2) joined the Royal Canadian Air Force in order to fight the Nazis. He is reported to have sent this poem to his parents while training as a Spitfire pilot in the UK, saying “I am enclosing a verse I wrote the other day… It started at 30,000 feet and was finished soon after I landed”. I wonder how many poems have been written at such an altitude! 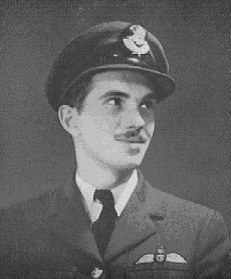 Only a few months later Magee was tragically killed when returning to base with his squadron after a training exercise. 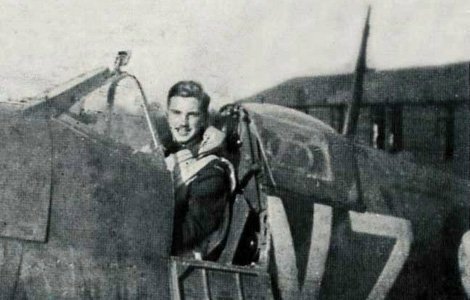 His Spitfire collided with another aircraft, resulting in the deaths of both pilots involved in the accident. It was Magee’s family that endeavoured to have his poem published, and once they succeeded this unlikely, one-hit American poet became famous overnight. High flight is still one of the best-known poems of World War 2. I love the effect of carefree, boyish joy that is achieved by Magee’s diction. Take the dancingly beautiful first line: “I have slipped the surly bonds of earth”; the combination of sibilance and the assonance of “surly” and “earth” here makes for such a musical opening. The ensuing images of the “laughter-silvered wings” of his Spitfire, and the “tumbling mirth/ Of sun-split clouds” are gorgeously ecstatic. I also find extremely touching the way in which there is a tone of almost bragging as this young pilot tells us he has “done a hundred things/ You have not dreamed of” (and later on that he has flown “Where never lark or even eagle flew”). If one remembers that he sent this poem only to his parents (and perhaps wrote it principally to them), one can almost hear in these proud claims his need for their approval and admiration. This poem is clearly about the pure joy of flying, and is a wonderful expression of a pilot’s passion for his job. However, I think there is also (isn’t there always?) room for other interpretations. I personally feel that this piece can be read to describe any activity that allows you to feel a version of this pure joy – this bliss being described where you feel such elation that you might “put out [your] hand, and touch[..] the face of God”. For me, this makes me think of writing poetry (or any artistic endeavour). I think Magee had poetry in mind as well, and he gives this away by referring to his “craft” (I adore that phrase – “flung/ My eager craft through footless halls of air”). This idea of soaring above the mundane world, adventuring into unchartered territory, and being so close to bliss that he could reach out and touch the divine… makes me think of the joy that can be found through any form of artistic expression (particularly musical forms, perhaps), but could also be read as referring to other forms of human endeavour such as scientific or mathematical discovery or even falling in love. A beautiful poem and a pleasant article to read. Thank you. Thank you for restarting this blog! I really look forward to getting updates via email. “laughter-silvered wings” is my favorite phrase. Neat blog. In case you’re not familiar with it, John Denver, a fan of flying (who sadly, died in an experimental plane crash) sings “High Flight.” It’s eerily beautiful, much like the source poem.